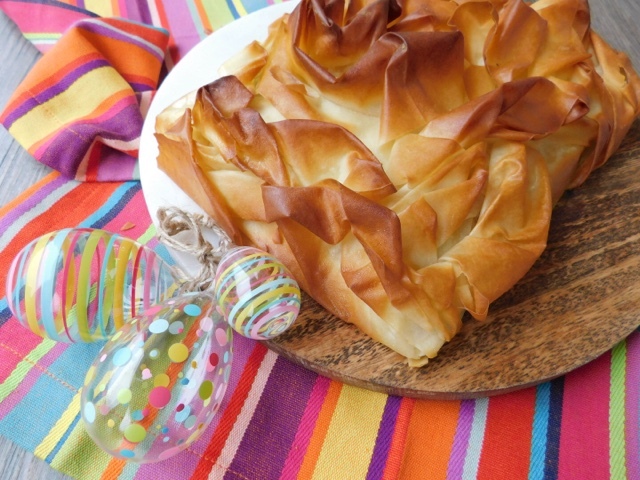 A show stopping dish for Good Friday this Salmon filo en croûte is super quick and easy to make with only 5 ingredients. 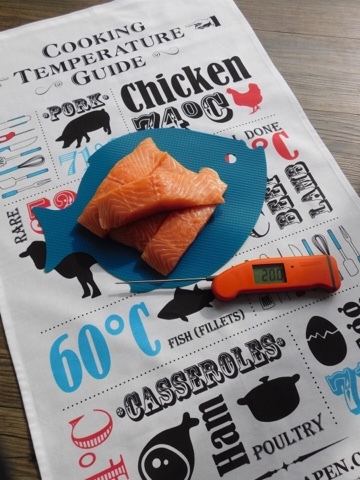 Ensure your Salmon is cooked to perfection this Easter with a Superfast Thermapen thermometer. Can you believe it’s almost Easter? The year is just flying past and it really doesn't seem all that long ago that we were celebrating Christmas! This year I'm planning on Roast Beef for our Easter Sunday lunch. Whilst many of us will automatically think of serving Lamb - it’s somewhat intrinsically intertwined in our minds along with chicks, eggs, bunnies and chocolate - historically lambs are bred in the spring rather than eaten then. As such a newly born spring lamb may look cute but it won't be ready to roast until the Autumn so not quite as seasonal as you might think. 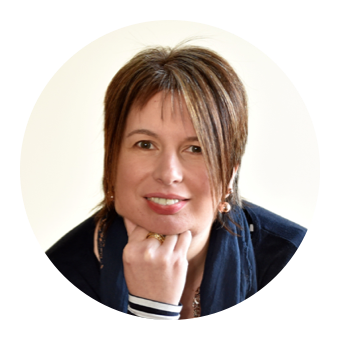 If you fancy joining me with Easter Roast Beef do check out my recipe for Spring Roast of Scotch Beef with a Wild Garlic Pesto Crust. Just like Christmas, in addition to the big day itself, there is the run up and the post script. Yup I'm talking about you Good Friday and Easter Monday. In the Catholic faith, Good Friday is a day of fasting. Because Christ sacrificed His flesh on Good Friday, Catholics abstain from eating flesh (meat) and instead eat fish. This religious practice has become an Easter tradition with many of us choosing fish as the 'dish of the day' on Good Friday. When it comes to fish I’m a complete sucker for salmon (25 ideas right here!) Combine it with pastry and you have instant success. In addition to only having five ingredients, my version of Salmon en croute is healthier than the traditional. Filo immediately cut calories in comparison to puff, you can substitute low cal spray oil for butter and when it comes to cream cheese use a light version. That way you can save all those calories for chocolate Easter eggs! Whatever you choose to eat this Easter make sure that it is cooked to perfection with the aid of the British made Superfast Thermapen thermometer. I really cannot recommend it enough (I even bought one for my Mum!) it’s one of my absolute kitchen essentials. I wouldn’t cook a steak without it and when the weather gets warmer it’s an absolute barbecue essential. It takes out all the guesswork when it comes to rare/medium/well done and avoids anxiety about BBQ food safety. It’s also great for jam making, sugar and chocolate work, deep fat frying and more. If you need an exact temperature to achieve a perfect result it will give you a reliable reading in just 3 seconds. My left handed BBQ geek teenage son absolutely loves it as it has an auto-rotating display that can be used in any position in either hand plus an intelligent backlit display which senses darkness self illuminates. 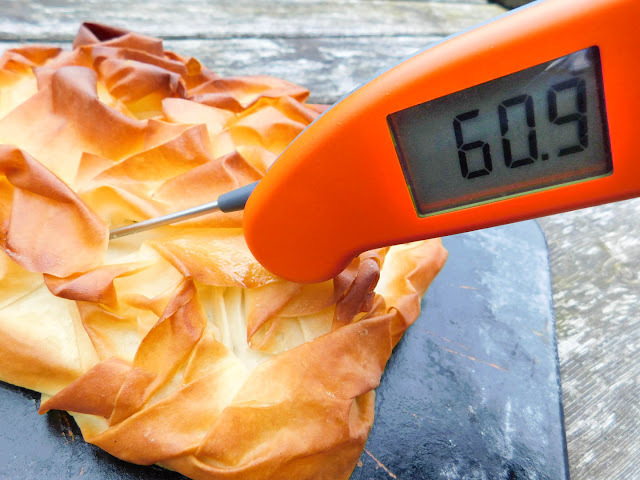 The Thermapen ideal when it comes to en croûte and unless you have x-ray vision there's no way of telling if the salmon inside the pastry parcel is over or undercooked. When it comes to fish the magic number you are looking for is 60c. Cook the spinach in the microwave or a pan according to the packet instructions. Allow to cool, drain well and squeeze out any excess moisture really well before roughly chopping. Put the cream cheese in a bowl add the spinach and season well with Salt & Pepper. Mix thoroughly. Lay two slightly overlapping sheets of filo on a baking sheet and spray with oil or brush with melted butter. Lay another two sheets of pastry on top in the opposite direction to form a cross. Brush/spray with butter/oil. 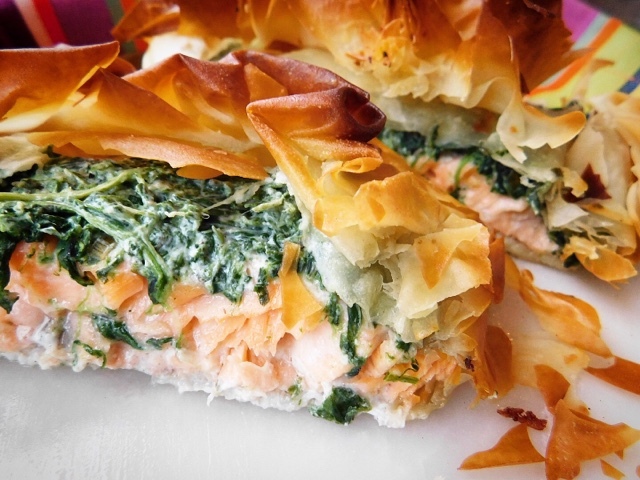 Place the four salmon fillets adjacent to each other in the middle of the pastry cross. Spread the spinach and cheese mixture on top of the salmon. Fold in the pastry to form a parcel and scrunch it up on the top. Spay/brush again with oil/butter. Bake for 15 minutes, then cover with tin foil to avoid the thin filo pastry burning. Return to the oven for a further 15 minutes or until the temperature reaches 60c on your Thermapen Superfast Thermometer. If you want the perfect Lamb dish this Easter take a look at my 7 Hour Spiced Pulled Leg of Lamb and Bintu's Roast Harissa Lamb with Harissa Apricot Stuffing. Both cooked to perfection with Thermapen. Disclosure: This is a commissioned recipe for Thermapen. As always, all views expressed are my own. Thank you for supporting the brands who make it possible for me to continue to share my Edible Scottish Adventures with you. I’m super choosy and promise to only bring you the cream of the crop. This recipe reminds me of one my dad used to make when we were young! So lovely. The Thermapen is such a handy gadget. I don't know how I managed without one and I'm constantantly finding new uses for it. It's really rather scary how fast the seasons are flying by. I bought myself a Thermapen for tempering chocolate a few years ago - a bright red one. En croute sounds delicious. This looks absolutely incredible. I love anything salmon. You and me both - got to be Scottish Salmon for me! This recipe looks so good! Salmon is my fav! What a lovely idea. 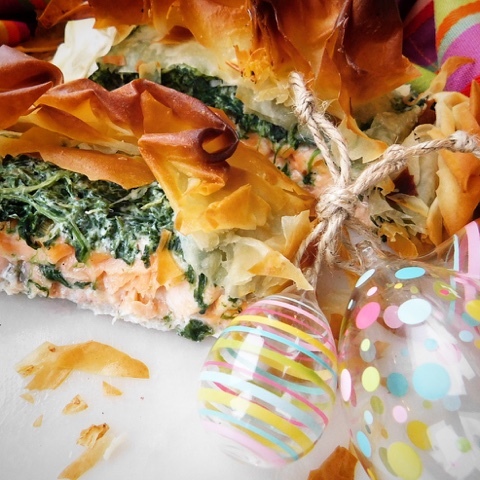 We often have fish pie on Good Friday, but I do like filo and spinach is great for keeping the fish moist as well as tasty and good for you. I hope you and your family have a very Happy Easter. Fish Pie is always our Christmas Eve meal. Isn't it wonderful how we all have different foodie family traditions. Wishing you a lovely Easter. I hope that the weather is kind to you and Myrtle on your Easter travels. Yup the contrast in textures works really well. I too like cream cheese possibly a touch too much! It's amazing that such a stunning and elegant dish can be so easy! I've even got filo dough in the freezer! I always have a pack of Filo Pastry on standby in my freezer - defrosts nice and quickly and is so versatile. This version really is so quick and easy to make that there is no excuse! I love the creamy filling and the crunchy exterior. Looks fabulous! This looks so hood claire. I cant believe it has just 5 ingredients. Thats seriously impressive. Will definitely be making this for myself!